Windows grilles come in a broad variety of designs and materials, all serving the same purpose: the increase of your safety. Whether you want to childproof your balcony, to protect the house from the insects or to discourage the human intruders, the window grilles could be a good option to consider. Nevertheless, the installation of the window grilles in the house might put a additional burden on the home cleaning and especially on the window cleaning task. 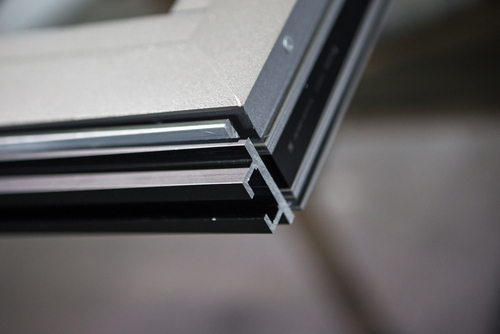 Bellow, you’ll find some information about the window grilles types available on the market and some tips for their maintenance. It is compiled having the Singapore residents in mind, but people living elsewhere might find it useful, too. The first thing to consider is their functionality, namely the suitability for the purpose to be served. For example, is you live in garden house or at the ground floor of a building, you might think about protecting your home from little animals or insects, like the Aedes mosquito, causing Dengue fever. If it comes to that, you might choose between different types of retractable and non- retractable welded wire meshes, used to cover the doors and the windows. On the other hand, if you live on a higher floor of a tall building, your first concern could be to prevent an accident. Therefore, some slim, but resistant grilles, fitted at close range, might be the optimal solution. Second, you might be concerned about aesthetics. Sometimes, in order for the grilles installation to be approved by the Building Management Committee, it should fit well into the general assembly of the building and of the neighborhood. Besides, you surely want the window grilles to to go well with the style of your home decorations. Fortunately, the range of window grilles designs available in Singapore is so broad that you’d undoubtedly find something adequate. Third but not least, when you choose the widow grilles to install, you might think in advance about heir maintenance. As you might know, Singapore has a tropical monsoon climate, with an average of 178 rainy days per year and with high temperatures and high humidity all over the year. This has an impact on your home cleaning routine and especially on windows cleaning, because the windows and the window grilles are the most exposed to the weather conditions. Equally, it’s important pay attention to the specific features of your home environment, considering for example the type of home you live in, the residential area, the floor your apartment is situated at and even the orientation of your apartment in regard to the four cardinal points. All those impact the intensity of the light as the degree of pollution or dust that your windows are exposed, to and therefore impact your windows cleaning needs. Before adding some grilles to your windows, take into consideration how often you would have to clean the windows and the grilles. As much as possible, chose a design that allows you to easily clean the grilles and also does not hinder the windows cleaning process. That being said, let’s talk about your window grilles options in Singapore and about some tips for their cleaning and maintenance. There are two broad categories of window grilles: visible and invisible grilles. The visible grilles hold the advantage of being very robust, making them suitable for protection against dropping out or home invasion. They also can be supplemented with wire meshes to protect from insects. The visible grilles could be made out of a broad variety of materials, each one having its own maintenance needs: iron, cast iron, wrought iron, steel, stainless steel, sandstone, aluminium or even wood. The main drawback of the visible grilles is considered to be their aesthetic appearance, but one could choose or demand a custom- made design fitting in with the atmosphere of the house. The invisible grilles in their turn, are not quite invisible. Though, they are less outstanding and therefore are considered to be more aesthetically appeasing in comparison with the visible grills. They are made of slim stainless steel bars, at times coated in some plastic or nylon material. Their main advantage is to offer a less obstructed outdoor view from the house, meanwhile allowing for more sun light and fresh air to get in. Now, the maintenance and the cleaning routine of the windows grilles depends on the material they are made of, on their design (if this is a complicated one, it would take a little more effort to keep them clean) and also on the specific environmental conditions. 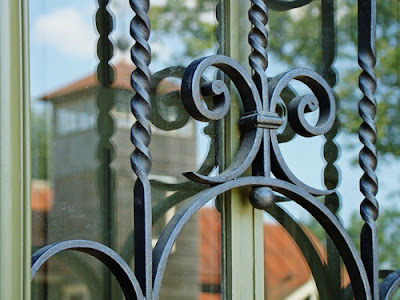 The iron made grilles have the advantage of being strong and durable and have their own aesthetic appeal, because they can be moulded in various forms for decorative purposes. Remove all the dust, before using water. In order to make cleaning easier, it would be a good idea to clear the grilles using a dry clean cloth, to remove the all the dust deposited on them, before spraying them with water. Also, you might built a routine of dusting the window grilles every time you dust the furniture in the house. In this way you prevent the building- up of some hard to clear dust deposits, due to the high humidity. Use soft fabric materials. In order to protect the grilles from scraping, one should use soft fabric materials, like cotton made cloths. Also, for the parts that are more hard to clear, avoid the abrasive metallic instruments, and use a soft brush instead, like toot brush. Use a sprayer to diffuse water. In order to avoid water waist, and also the useless wetting of the floor or furniture pieces around, spray the water directed to the area of the grilles that you want to clean. Use adequate substances. Get informed about the precise materials your grilles are made of, and read carefully the cleaning products descriptions, checking weather they are appropriate for that particular material. Usually, the cleaning products you’re using for windows cleaning might be suitable for the grilles to, but it doesn’t hurt to check it twice. Thence, window grilles might give you some extra trouble when it comes to home cleaning, but this doesn’t counter their safety benefits. 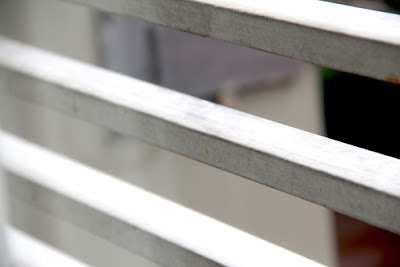 If you choose the appropriate type of grilles, according to your needs and capabilities, their maintenance and cleaning won’t steal a considerable amount of time from you.